Most educational institutions have realized the impact of the Internet and the World Wide Web in education of which most have already been using Virtual Learning Environments for their staff, lecturers, and students. In this paper, the author proposes a novel and completely unique concept in Audiology, a web-based virtual clinic laboratory system, my-AudiologyLab, for audiology undergraduate students to practice their decision-making skills. This virtual environment gives students the opportunity to practice the process of conducting different types of appointment and check the development of their clinical reasoning. Opportunities to practice these skills online are important as it not only provides a safe environment in which students can experience a real set of scenarios where patients can be seen at the students’ own individual learning pace but it also prepares students for their final practical competency assessments. This type of environment means that students can work with patients and have the possibility of making incorrect decisions without any health risks. The e-learning system is a three-tier Web-based distributed computing system and has been developed using open source W3C (World-Wide Web Consortium) standards. Since the Internet was initially developed as a means of communication by educational and governmental institutions in the 1970s, academics have been aware of its huge potential as a learning/teaching tool. The development of the World-Wide Web in 1989 by Tim Berners-Lee and R. Cailliau greatly increased its utility (Berners-Lee & Cailliau, 1990). In recent years, academic, and other organizations have become increasingly interested about building online learning and assessment management systems in order to deliver cost effective, easily accessible, and ever-current education to all ages and social backgrounds from anywhere and at any time. E-Learning started a couple of decades ago with the introduction of televisions, and over-head projectors in classrooms, followed by a wide range of technologies such as computer programmes, 3D simulations and other interactive media. As technology advances and becomes faster, more reliable, more affordable, more interoperable, so will e-learning. On one hand, small, medium, and large corporate businesses are increasingly using e-learning for up-to-date information sharing, training, etc., to both local and external users. On the other hand, colleges and universities are also more engaged through the use of Virtual Learning Environments (VLE) by which students can access an entire course, syllabus, tutorials, assignments, quizzes, marks, college library, attendance status, personal mail-box, message boards, etc. While originally created for distance education, they are now most often used in combination with the traditional face to face classroom methods, an approach commonly known as Blended Learning. VLEs are used for communication and designed for both Student-Lecturer and Student-Student interactions. E-learning is indeed a supplement to a live class in order to both minimize e-learning’s drawbacks (such as lack of self-teaching motivation), and to maximize the learning experience. The goal of my-AudiologyLab system not only helps audiology students to practice their clinical decision-making skills but it also prepares them for their final practical competency assessments. Laboratories created virtually can enable students to work with a wide range of ‘virtual’ patients, repeat experiments many times over and receive feedback from the environment at no extra cost to the institution for staffing or materials - a ‘setup once and run indefinitely’ approach to teaching. Virtual laboratories may also provide opportunities for physically disabled students to conduct experiments in a risk-free environment and benefit from experiential learning that is not always available to them in the real world (Cobb, Heaney, Corcoran, & Henderson-Begg, 2009). This is a completely unique concept for Audiology undergraduates and Aston University (UK) has pioneered this in order for Audiology students to benefit from this new teaching tool. 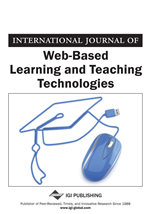 There has been much literature on online learning topics covering from theory to practice which can be used to enhance the student learning experience (Anderson, & Elloumi, 2004; Bach, Haynes, & Smith, 2006; Goodfellow & Lea, 2007) (http://www.php.net/). This paper describes an attempt to develop a novel user-friendly virtual audiology clinic laboratory system. The system allows students to think of what they need to do for the ‘virtual’ patient as well as contra-indications for performing a certain procedure and what the management will be. The system as shown in Figure 1 is based on a three-tier client/server model which consists of front-end (user interfaces), back-end processing (business logic), and data services (database design). See “System Analysis and Design”, “Implementation” and “Appendix” sections below for the Web technology used to design and develop the system and its selected screen shots.